Materials and Care: Dress: 100% polyester. Hand wash cold, dry flat. Liberty and justice for all! Make a statuesque statement in this mint green Classic Lady Liberty dress with long bell sleeves, attached shoulder drape with star accent, and foam crown headpiece. 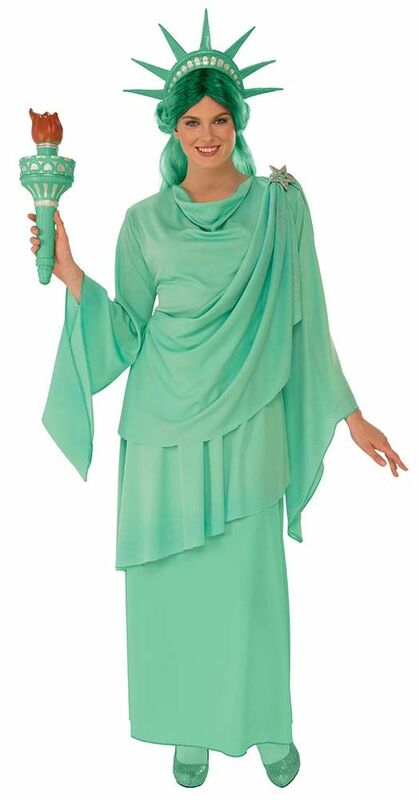 Torch, wig, stockings and shoes not included. Our custom size chart contains detailed measurements of this costume. See more options in our 4th of July section! 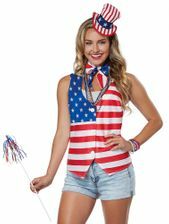 Great for Fourth of July parades and parties, school plays, and recitals!